Hours before a white supremacist serial killer, Joseph Franklin was due to be put to death in Missouri, a stay of execution was granted to him by a federal judge in Missouri, citing concerns over the state’s new execution method which involves the use of a new drug. Franklin's lawyers showed that the use of pentobarbital carried a high risk of contamination and sustained, unneeded pain beyond that which is required to achieve death. Franklin, 63, who is on death row for the 1977 murder of Gerald Gordon and also been blamed for a total of 22 killings between 1977 and 1980 in a bid to start a race war, has challenged Missouri's decision to use the drug pentobarbital in its lethal injection protocol. He contended that Constitution's ban on cruel and unusual punishment would be violated if this particular drug is used. U.S. District Court Judge Nanette Laughrey ruled that a lawsuit filed by Franklin and 20 other death row inmates challenging Missouri’s execution protocol must be resolved before he is put to death. The timing of the state’s changes to how it carries out capital punishment, specifically its plan to use for the first time a single drug, pentobarbital has been highly criticized in the 14-page ruling. Initially, Missouri had planned to use propofol, the surgical anesthetic known widely as it relates to the death of pop star Michael Jackson. But the decision was reversed by Missouri Governor Jay Nixon after being warned the European Union, whose members prohibit capital punishment, might stop shipments of the drug, leading to shortages for medical purposes. In October, the state announced it would use pentobarbital, which would be provided by an unnamed compounding pharmacy. Franklin's lawyers argued that would raise the risk of contamination and a painful death. The US Federal judge while writing the judgment agreed that no information was provided by the state about the certification, inspection history, infraction history, or other aspects of the compounding pharmacy or of the person compounding the drug. Capital punishment in the United States is limited under the Eighth Amendment to the United States Constitution, and, in practice, is used almost exclusively for aggravated murders committed by mentally competent adults. The methods of execution and the crimes subject to the penalty vary by state, and have changed over time. The most common method since 1976 has been lethal injection. In 2012, 43 inmates were executed in the U.S. and 3,146 were on death row – an execution rate of less than 2%. Over the past 20 years, the death penalty has slowly declined in popularity in the United States from an all time high in 1994 of 80% in favor, to around 63% in 2012. Since 2007, six states have abolished the death penalty. In the United States, advocates have argued that lethal injection, as applied under faulty state procedures, creates an unacceptable risk of suffering. For example, some states use a drug combination that masks pain and makes it impossible to ascertain whether a prisoner is conscious at the moment he receives a lethal dose of potassium chloride, which causes an incredibly painful death if the prisoner is not properly anesthetized. Deficiencies have also been pointed out regarding the way the drugs are administered. It has also been said that there is no proper training which is required for those administering the drugs and also there is no clinical evidence which shows the safety and effectiveness of certain drugs used in executions. These arguments were however dismissed by the U.S. Supreme Court in Baze v. Rees, 553 U.S. 35 (2008) holding that a prisoner challenging a lethal injection protocol must show “that the State’s lethal injection protocol creates a demonstrated risk of severe pain” that is “substantial when compared to the known and available alternatives.” In their concluding observations regarding the United States, however, both the Human Rights Committee (1995) and the Torture Committee (2006) called on the U.S. to review its execution methods in order to prevent severe pain and suffering. The Human Rights Committee, in particular, stated that a state party must take into account the prohibition against causing avoidable pain in its methods of execution. 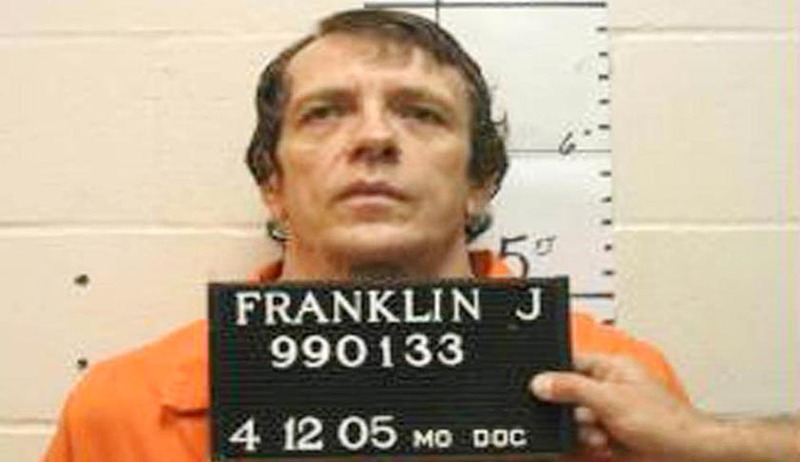 Franklin is one of 21 plaintiffs challenging the constitutionality of the execution protocol issued by the Missouri Department of Corrections. According to the Death Penalty Information Center, if the execution is carried out, Franklin would be the 35th inmate executed in the United States in 2013.